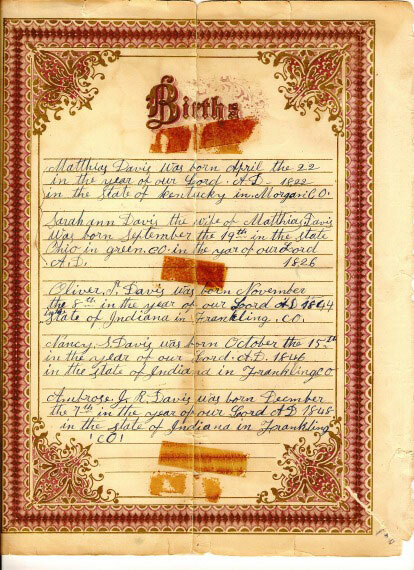 "age 86 years/ Last entry made by Nancy Davis (my great aunt) who died sometime around 1932. All are in Morgan Cemetery Kent, Iowa. None of children of Matthias & Sarah married except Oliver (my grandfather) and Matthias Jr who died in the 1930s (not sure). 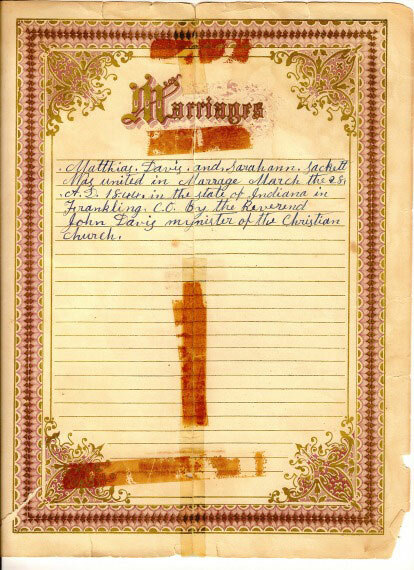 Oliver married Mary Semantha Davis (no relation), had 7 children—youngest was Sarah Matilda (my mother) born 1/12/1885. 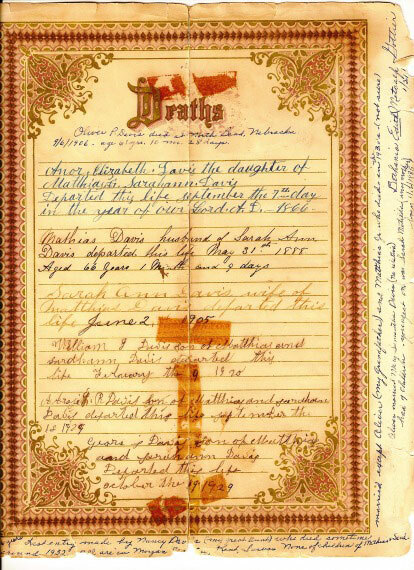 [Signed] Bethania Edith Metcalfe Gottier, 1/21/1970"
Matthias & Sarah Ann (Sackett) Davis. 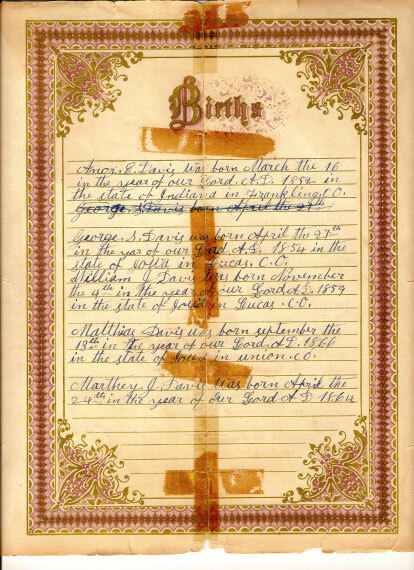 Family Bible Records. (Bible in possession of Dennis Gottier dreittog@yahoo.com).